Web Site Speed in very important for your visitor if your site is slow loading then visitor will not come to your site. Today we will discuss how to make load time faster of your Joomla power website. For Joomla Website we need to keep the Joomla version always up-to-date to get latest update and keep your site secure from hacking. In Joomla 3.x it is easy to update Joomla simply just one click the update button. As well as Joomla we need to keep others extensions updated. Caching in very important to make Joomla site fast loading. 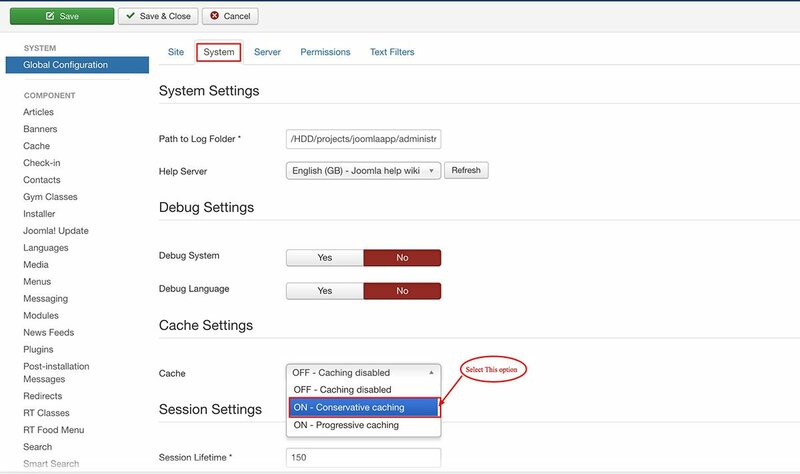 How Joomla caching work when a visitor first time visit a Joomla site then the caching plugin take the full page then if for next visits it load the images and content from the cache that make more faster loading to the visitors. A Great Joomla default tool to compress your page before sending to visitors then it uncompress to the visitors bowser. So it load faster to the visitors browser. Images: Try to use optimize image never use to big images you can reduce image size manually by photoshop before upload make sure images are save as save for web standard. CSS: Make sure use simple and light weight CSS if possible compress the css file some framework has open to compress css file. JS: Make sure use simple and light weight JS if possible compress the css file some framework has open to compress JS file. Remove / Unstall all unused extensions because all Joomla extensions take server resources like database and hosting spaces. Sometime we test different components and modules to check how it work but we forgot to remove it. So better to remove them that are not in use. There are many Joomla extensions to improve the Joomla performance but from my experience I used JCH Optimize it is better than others 3rd party plugins I think.